Well, Ajmal recently came across a similar predicament. The actor works out in a gym where actor Ramki too comes for his regular work outs. Once when Ajmal met Ramki, the latter is believed to have liked the former's role in 'Thiru Thiru Thuru Thuru' and revealed the same to Ajmal. Conveying his gratitude to Ramki, Ajmal is believed to have quizzed Ramki as to how he liked Ajmal in 'Ko',! When Ajmal told that he had essayed Vasanthan Perumal's role in 'Ko' Ramki seems to have found it hard to believe. Ajmal also told that he had played a grey-shaded role in Mysskin's 'Anjathe', and that too seems to have come as a shocker to Ramki! 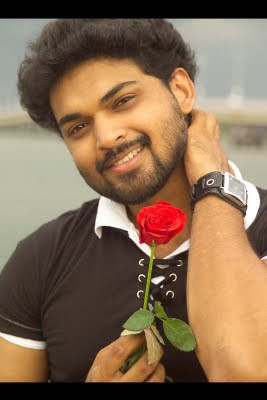 While Ajmal is taking all care that he should not be type-casted in films that have come to him post the release of 'Ko' the actor has bagged a role in Telugu, as a baddie yet again. The film is 'Rachcha' where Ajmal portrays a smooth and suave villain. The film sees Ram Charan Teja and Tamannah in the lead.